It's Veterans' Day. A very special Veterans' Day, in fact: 11/11/11. Dates like these don't come around very often. I was named for my favorite veteran in the world: my Uncle Richard, my mother's younger brother. (My mother's brother was Richard; her mother was Luella. If you take the first half of Richard and the last half of Luella, you get Richella.) My uncle was nearly killed in Viet Nam when I was a girl. I have vivid memories of the months after he came home. Thank God, he healed enough to work. He met the lady who would become my beautiful aunt at work; their wedding in 1972 is one of my best memories from childhood. Uncle Richard is now retired, the proud father of two wonderful kids and three beautiful grandchildren. My Uncle Richard is my favorite veteran, but I'm thankful for ALL veterans. It's impossible for me to imagine what our world would be like if not for the faithful, generous service of men and women in uniform. Great post! I'm a Viet Nam generation and we always worried in the early 70's my brother Joe will be called, he was in college then...but were so lucky, he never was, but I had a boyfriend in Viet Nam when I was 17 and he came back, thank God for him and his family and some other friends too. God bless all vets 11/11/11...I don't know why the date was chosen. Have a great weekend. The armastice that ended the WW1 was signed at 11 o'clock on the 11 day of the 11 month. Well done, Shelle and Wendy! Lots of people don't know that 11/11 was the day that the armistice ending the fighting of WWI. Great summary of events, Shelle! In fact, the 11th of November was called "Armistice Day" until Eisenhower was president. Of course, The Great War had not turned out to be "war to end all wars." After so many servicemen and women had fought in both WWII and the Korean conflict, the name "Armistice Day" was officially changed to "Veterans Day." My favorite veteran is my Uncle Wayne, my mother's brother (sound familiar? :)). He was an army chaplain for decades. After retiring from active duty as a Lieutenant Colonel, he stayed with the military, most recently helping servicemen and women return to the civilian workforce. I'm so very proud to have him in my family! Veterans Day is surely special. We have our freedom, to live the way we do here, because of all who fought in those awful wars. My husband is a big history buff so we've been watching about veterans on the military and history channels tonight. today is also a special day for babies being born since their birthdate will be 11-11-11. 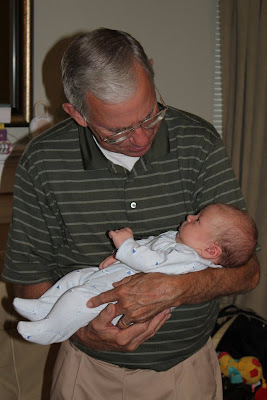 LOVE the shot of the grandpa and grandbaby...so sweet!! Hi, Richella! I was so surprised when I opened your blog to see a picture of my dad and nephew! Thank you for honoring Dad. He is my hero and favorite veteran, too! Veterans hold a special place in my heart, and I am so thankful for their service and sacrifices for our freedom. My favorite veteran is my friend Tuck who served in Vietnam. My dad was too old to have to go to Vietnam and his dad was too old to be drafted for WWII. It must have been terrible to have to send your son or spouse off to war. Thanks to your family for serving! My favorite veteran is my father, who passed away earlier this year. He was a Navy pilot in the late 1950's, and he later went on to become a successful lawyer. It is remarkable to me that, after practicing law (and loving it) for 50+ years, what he wanted to be remembered for was the few years he spent flying planes. Richella, My Dad served in the Navy during WWII and he was at Omaha Beach on D-Day. He had just turned seventeen years old! He is my hero and my favorite Veteran. 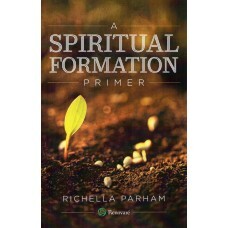 I forgot to say that I loved learning why you are named Richella. What a special name you have! It is so caring of you to show your love to your special Veteran. People far to often do not realize that FREEDOM is NOT FREE! Even if our military personnel come home there are scars that aren't always visible to the eye. My daddy is my favorite vet. He's a WWII vet and is 88 years young. He's also my hero.